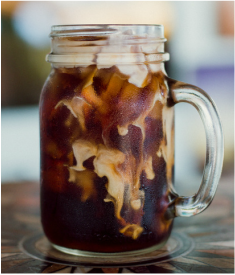 100% Hawaiian Cold Brewed Iced Coffee. 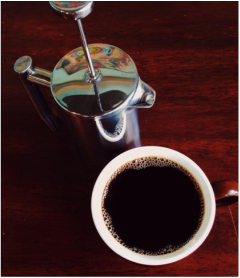 Using a slow drip process creates a delicious, smooth and invigorating experience. Great straight or lightly sweetened. Exceptional Coffee is worth waiting for... Enjoy Kona, Maui Mokka Peaberry or a Classic Dark Roast Ka'u coffee from Rusty's Coffee made to order. Island Brew Coffeehouse serves 100% Hawaii coffees locally grown and roasted weekly in partnership with Rusty's Hawaii. Custom drip blend and 100% Hawaii espresso. Premium Rusty's coffees including their signature Ka'u, Kona, and a Maui Mokka Peaberry. These coffees all scored over 90 by Coffee Review. Enjoy a variety of Award Winning - Hawaii grown coffee.